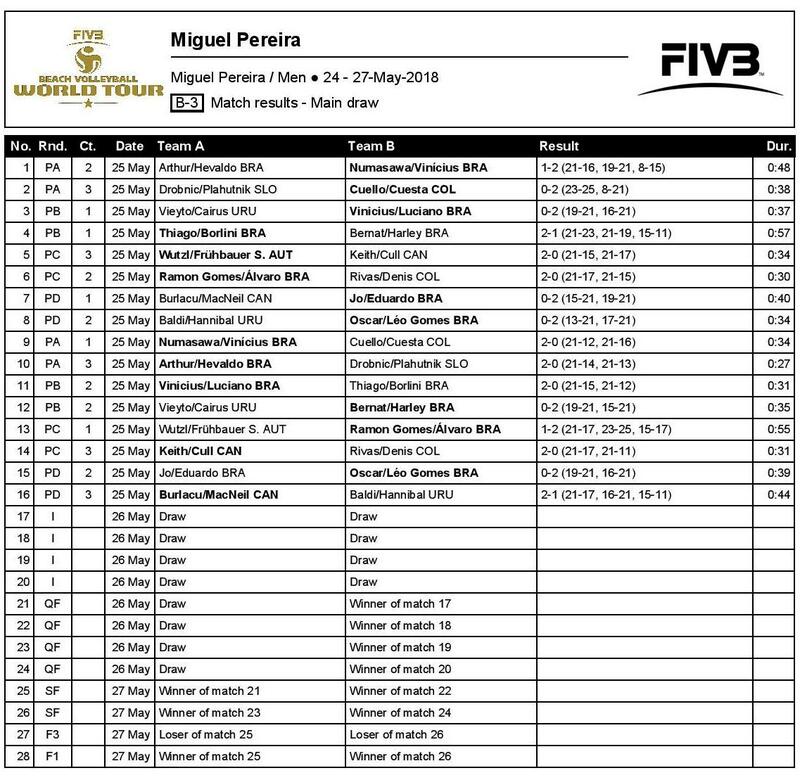 After the majority of pool play concluded on Friday, Brazilian teams stood atop all four men’s and all four women’s pools, earning spots in the quarterfinals. The two teams who advanced through the men’s qualification matches continued their winning ways, picking up major upsets en route to pool titles. 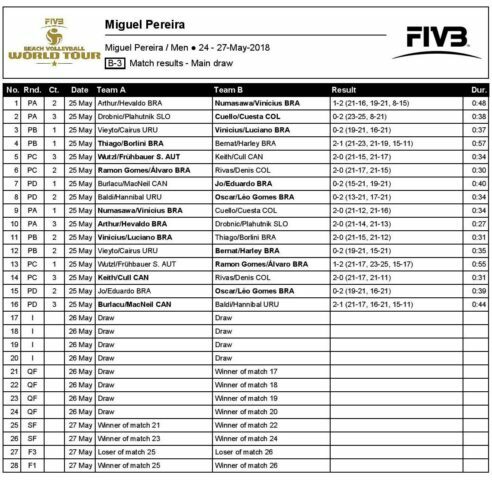 Felipe Cavazin Numasawa/Vinicius Gomes Cardoso de Araujo bested top seeded countrymen Arthur Diego Mariano Lanci/Hevaldo Sabino Moreira in tiebreak to start the day, then topped Columbia’s Edgardo Cuello/Yhan Cuesta to capture the Pool A title. Vinicius Rezenda Costa Freitas/Luciano Ferreira de Paula scored a straight-set win over No. 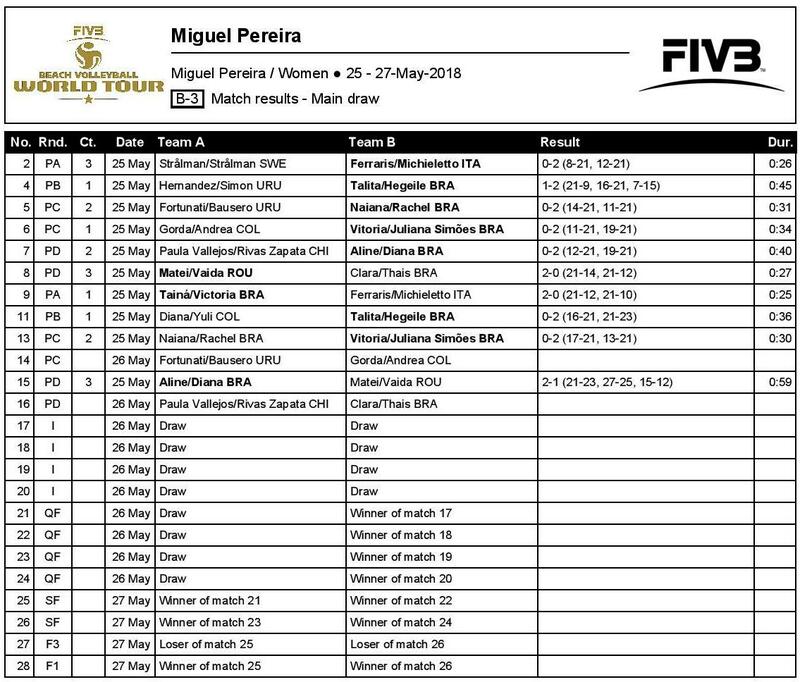 2 Mauricio Sebastain Vieyto Acosta/Marco Cairus Lucarelli (Uruguay) and fellow Brazilians Thiago Santos Barbosa/Marcus Borlini de Oliveira to take Pool B. Third seeded Austrians Joerg Wutzl/Simon Fruehbauer also fell on Friday, but the loss came in the Pool C final against Brazil’s Ramon Ferreira Gomes/Alvaro Marcelino Santos Andrade. Pool D went to Oscar Brandao/Leonardo Gomes who downed countrymen Joallison Laurindo Gomes/Eduardo Davi Marinho da Rocha in the final match. Gomes/da Rocha received a bye into the main draw among six teams in qualifying. Canada’s Dallas Keith/Jasmin Cull also received a bye into the main draw and split their Pool C matches, still earning a spot in Round 1 play. On the women’s side, top seeded Taina Silva Bigi/Victoria Lopes Pereira Tosta won Pool A, while the three remaining pool winners had to secure major upsets to earn the free pass to the quarterfinals. Taina/Victoria had to win just one match to take the Pool A title after earning a bye in their opening match. The team came through with a straight set win over Italy’s Carolina Ferraris/Francesca Michieletto. Talita Calixto Simonetti/Hegeile Almeida dos Santos made it through a tiebreak win to face off with No. 2 seed Diana Rios/Yuli Ayala, and notched a straight set win to take the Pool B title. Pool C also featured an upset with Naiana Rodrigues de Araujo/Rachel Nunes taking out No. 3 Fortunati Lia/Camila Bausero (Uruguay) in straight sets en route to a quarterfinal berth. The Pool D title was decided in an epic tiebreak affair with two of the three sets going to extra points. 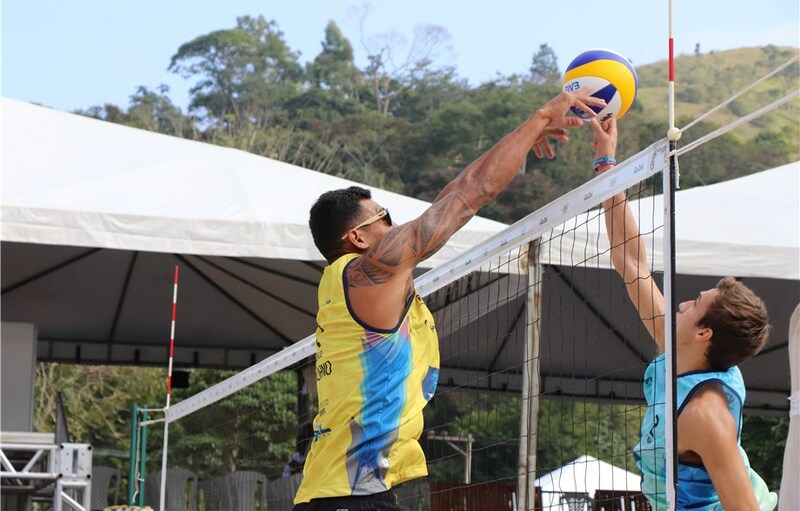 Aline Lebioda/Diana Bellas Romariz Silva secured the victory after rallying from behind for the 21-23, 27-25, 15-12 win.